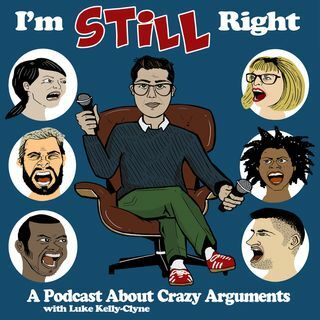 Writers Kerry McGuire (Hot Date, I Want My Phone Back) and Mary Lordes (Adam Ruins Everything) join Luke to argue about whether or not stealing from huge corporations is wrong. Later, the group laments socks with toe seams, people who back into parking spaces, and an alarming lack of respect for the King of complaining, the late/great Andy Rooney. This week's episode is brought to you by Squarespace. Start your free trial today at Squarespace.com and enter offer code STILLRIGHT to get ... See More 10% of your first purchase.